Reason I got this is because of a couple vintage bulbs in there, but had to get the whole thing lol. Good score even if the bulbs are not old! At the Loma Linda ReStore, they gave me a box of (16) Sylvania F15 T8 black enders for free a while back! What are those PS25 type bulbs? 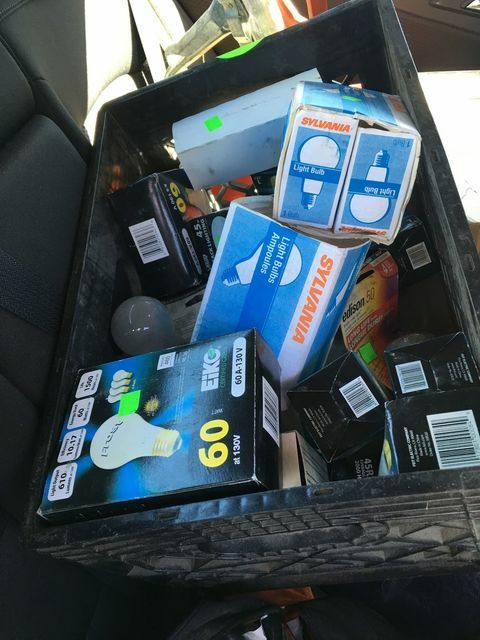 Which PS25 bulbs? I don't think there were any in this box. I have that same blue sleeve and package containing 230 volt light bulbs I got from ebay a while back. The Sylvania blue and white sleeves are actually A15. 15w frost bulbs. Oh wow. I wouldn't have thought. Got pix of the etches?